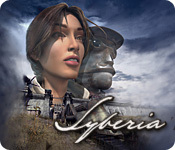 Search a mysterious estate and find a brilliant and mysterious inventor in Syberia: Part 1 and experience the first part of this incredible trilogy! Kate Walker is a young lawyer visiting France to close the sale of a large manufacturing estate. But when the estate’s owner turns up dead, Kate must search for the hidden heir. Delve into a mechanical wonderland filled with puzzles and surprises, on a journey that reaches far into the imagination in Syberia: Part 1!